High quality stainless steel that provides years of lasting beauty. 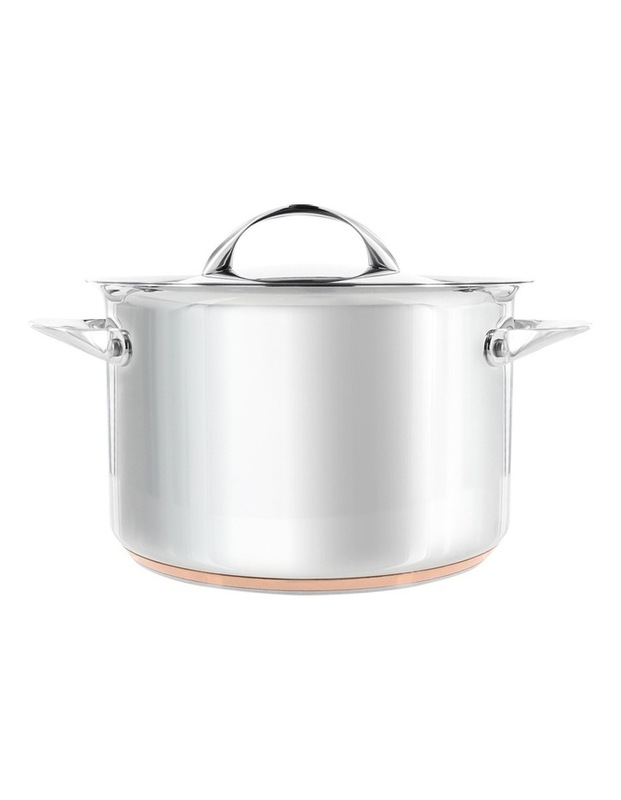 The base has a sheet of solid copper that spreads heat evenly and quickly across the base and around the corner of the pan. The heavy weight aluminium disks disperse and retain heat, resulting in optimum heat control.